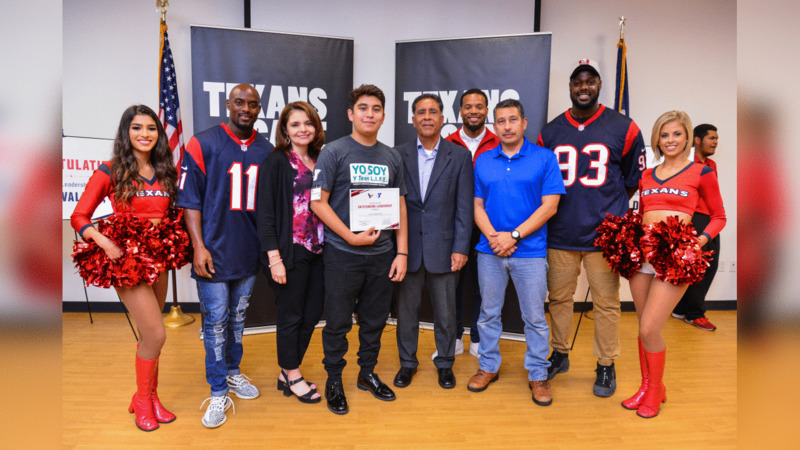 The Texans honored Carlos Valdez, Jr. as the 2018 Houston Texans Hispanic Heritage Leadership Award Winner for his volunteer service to the YMCA of Greater Houston. Mr. Valdez, owner and CEO of Las Palapas Hausman, has been a volunteer with the YMCA of Greater Houston for more than 30 years serving most recently as chairman of the board in 2016 and 2017. 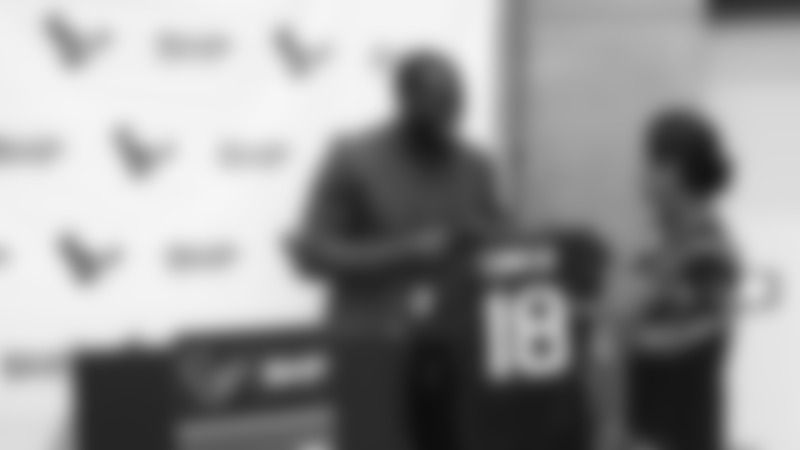 As part of the award, a $10,000 donation will be made from the NFL Foundation and the Houston Texans in his name to the YMCA teen leadership programs.